We need a minimum of 3x3 metres but the more space the merrier! We have experience in all types of venues so we can accommodate. Please consider the following points when arranging the timings for the band performances. We will always be happy to play lighter background music/fully fledged DJ sets for when guests arrive. Please note that the below timings are only a suggestion, and we can cater for your event/venues needs fully, even within a tight schedule. Here are our suggested timings with a 6pm arrival and 7.30pm-12am “live time” with 2x 60 minutes sets. Please plan sets around the evening food. Do not have the band start at 8pm if the buffet is then ready to come out at this time also as your guests will want to eat in peace. We suggest 2x60 minutes sets over 3x40 minutes where possible. We are always happy to take song and setlist order suggestions from you and will endeavour to play them in our set however final say has to be with our singer as he has to be comfortable in performing them. This way you strike a great balance between songs you and your guests want to hear whilst enjoying them expertly performed by a band comfortable with what they are performing. Due to the fact that we are an exclusively private functions band you will very rarely see us in public venues and thanks to Alive Network we are usually too busy performing at private functions to find the time to perform publicly. Our videos are a great way to see what we’re all about live see them here. In most cases yes we are. We always try to accommodate and usually manage to. However, songs that have orchestras performing in them are going to be tough for a three piece, guitar based band to replicate and we would advise you as much. Over the years we’ve played all sorts of different songs and we will always try to perform any song for you whilst being totally honest about how it will sound. Oh yes! With the kind permission of previous clients you are seeing us in our natural environment. Performing at some of the best shows we’ve done over the years. We try and include studio footage as well and that’s where the music you are hearing in the video was recorded. You can book us through the enquiry form on this website www.academyfunctionband.co.uk or through our agency www.alivenetwork.com. You can also email or call our booking agents on 0845 108 5500 or email us academy@alivenetwork.com. We provide a huge playlist of varied, popular music from the 50’s up till present day and on last count it lasts around 4 days! We also offer a bespoke DJ service at extra cost where we take requests, tailoring the playlist to you, make basic announcements and mix the tunes like a true DJ to keep your dance floor packed all night. 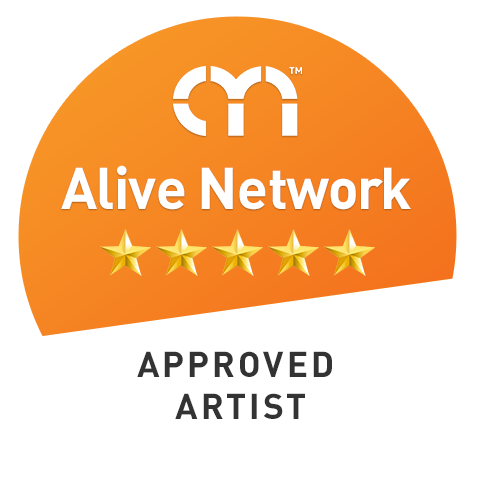 Check our Alive Network page for great deals on this package. Yes of course you can. We have catered for very long and detailed DJ requests in the past. We can cater for any song you want with the fully fledged DJ package. Many clients supply us with their own playlists via laptop/ipod/ipad etc and we are always happy to play those. Yes of course however, we do not supply wireless, radio mics so if you want to use these make sure you have access to them beforehand. We are currently running two new Bose L1 Model II PA’s with two B1 sub woofer base modules, which pump out 1000w of power each. Sennheiser microphones complete the rig. Its more than you need for most events so rest assured we will always have the power to keep your night partying! Due to our years or experience we decided to have exclusively built, bespoke guitars, bass guitars and drums made for us. You can’t find our instruments anywhere else! We do however use, Fender amps, Zildjian cymbals and PJB bass amps. Yes, we run a medium yet powerful light rig composed of 4 LED multi colour beam lights, 2 laser, multi colour pattern lights and two multi colour disco light balls. We can always add more to the setup if needs be however our current light show is usually more than adequate for all venues. We usually play 2x1 hour sets. This can also be divided into 3x40 minute sets if you prefer. We have enough repertoire to cater for 3 hours of live music, with plenty of variety. We also offer an acoustic upgrade option which consists of 2x30 minutes of carefully selected acoustic music, perfect for during your meal or drinks reception. This can be performed solo, duo or full band, acoustic lounge style. Venues usually allow music until 12pm so we perform from 7-12pm. Our suggested timings can be found above. However, we have played at all times of the day in the past so please just contact our alive network agent for more info and options. It takes us an hour to comfortably set up assuming there are no distractions but if timings are strict or the event has run behind schedule we have been known to rush through a 40 minute set up. Its not advised though!! Sadly, we don’t take provisional bookings as our demand is such that we would be turning clients away on popular dates. However, when you make an official enquiry with us though Alive Network, your enquiry will be logged in our system and you will be given first refusal on your date should anybody else enquire for the same date. This is our job and we love it. We were firm friends at Music College before we started this band and its very unlikely we will ever not want to play together. However, if it were to happen, a suitable replacement band would be sought for your approval. With prior arrangement we are delighted to have people with some musical experience on stage with us. We’ve had a Rolling Stones session keyboardist on stage with us and it was brilliant! However, we do like to avoid guests walking up on stage during our performances without prior knowledge as this can cause undue disruption to our show and your dancing! Our usual outfit is black suit and tie with a white shirt however we do get asked to dress smart casual or go all “Mumford and Sons”! We are happy to accommodate. We once played dressed as Mother Teresa, a Jedi and the Incredible Hulk! Yes we always have up to date PLI with £10 million coverage and PAT certificates. Prices vary for the time of year, destination and performance requirements but our base price is £912 including VAT. Yes of course! Please check our testimonials. Does Academy have any specific requirements? All we ask for is parking for our cars, somewhere to change and relax between sets and hot food and drink for the duration of our stay at your event. We can and have played virtually any event can mention, from cosy pub to outdoor festival and everything in between. We are a live, guitar based band so we are loud. However, we are never painfully loud and we have performed in venues with dB limiters of 85dB! Decibel limited venues are not recommended for any live music, however. If we are too loud or not loud enough we will always adjust to suit your needs. We keep a streamlined. lower power system so we only need a minimum of 4 standard plug sockets. However, the more power and sockets you can supply, the safer our performance will be. Does Academy offer any additional services? We offer a number of additional services at very competitive rates. These include acoustic sets during dinner, additional/extended DJ service and live band sets and live song requests. If you would like more information regarding the above options please contact us via email to discuss.